It can be pretty difficult to slow down once things start piling up, either at work or home. This can get even worse during the holiday season when there is just too much to do! We have all felt it! Most importantly, your pet is also feeling it. Even if you have an independent cat, you can bet they are noticing your absence. Remember that when you take on the responsibility of another creature's well-being, that means that you are always responsible, even when it isn't convenient or easy. So we decided to help you and compile a list of small and easy things you can do to tell your pet that you still care about them, even when you are busy. 1. Get Outside: This one's admittedly mostly for dogs. There's a whole new winter-y world out there for them to explore and burrow into! Just make sure their feet are protected and it's not too cold for them! 2. Netflix and Cuddle: You probably need this too after all the chaos this season can bring! Plan a night in front of the TV with your fur baby, making sure to focus on them more than the show. Even if it's just a half hour, that time together is just what you and they need! But remember that they (and you) still need the exercise, so after "vegging out" for awhile, take them on a short walk to get their blood pumping too! 3. Play date or dog park: If your pup is a sociable gal, the dog park is definitely a treat! 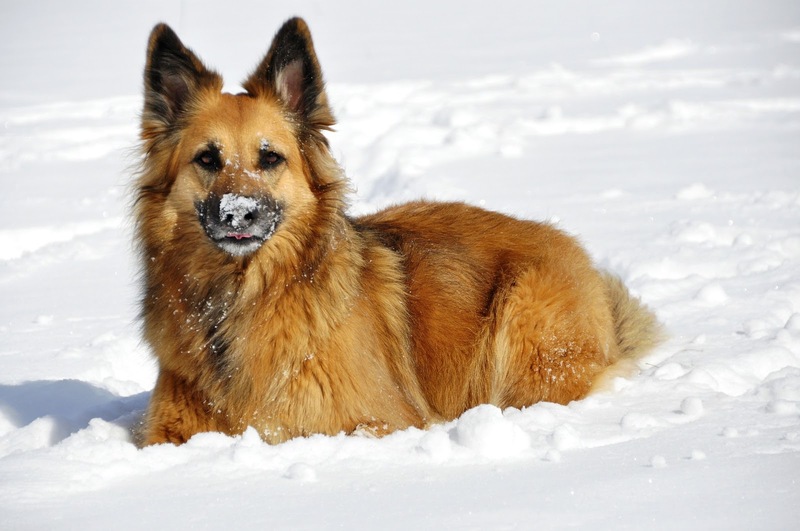 If she's more particular, plan a play date with one of her favorite four-legged friends. 4. 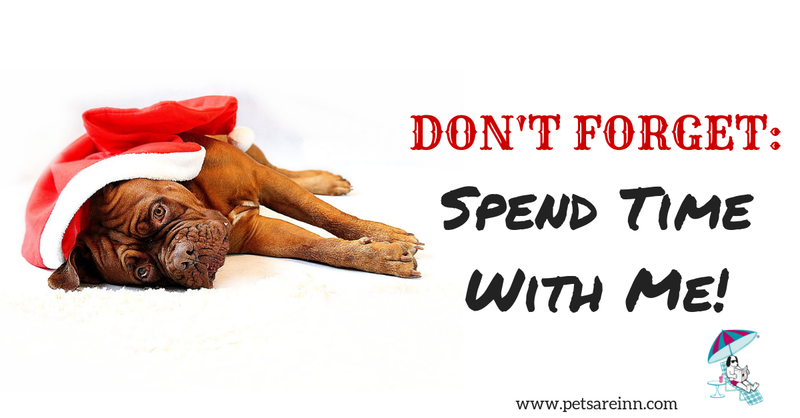 Shopping: Reward your pet with a fun shopping excursion to their favorite store to pick out a new toy (but make sure you actually spend time playing with it afterwards!) Remember, it's the quality time together that matters! 5. Belly rubs and back scratches: Again, it's always about the quality time. This doesn't mean scratching them while you are on your phone or doing something else. Sit down, "unplug", and focus on your pet for a good 10 minutes. It's the least you can do for them after all the unconditional love they give you!